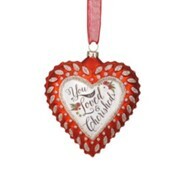 Blown glass sculpted heart ornament is an elegant addition to your Christmas decor and a keepsake ornament gift to give. 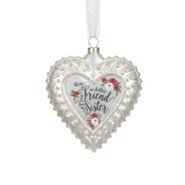 Glass heart ornament with sentiment and artisan Christmas trim; 4" wide x 4.5" high; organza ribbon loop; special packaging; glittery trim is the finishing touch. 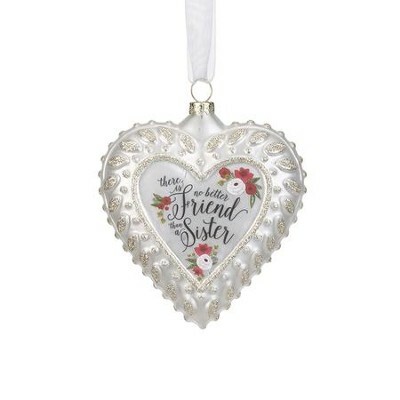 I'm the author/artist and I want to review No Better Friend Than A Sister Heart Ornament.